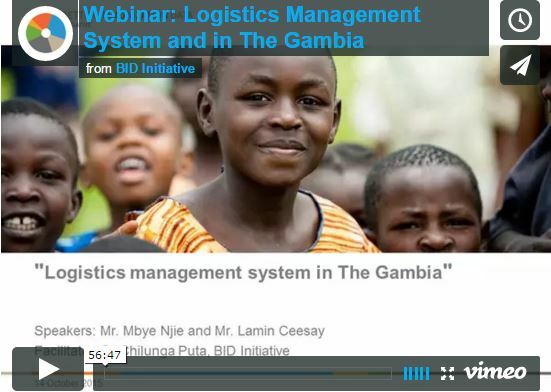 The Better Immunization Data Learning Network (BLN) recently held a webinar entitled, “Logistics management system in The Gambia.” The presentation provided an overview of The Gambia, one of the countries with the best immunization coverage in the West African region. Introducing new vaccines in the poorest countries: What did we learn from the GAVI experience with financial sustainability? This paper reviews the experience of the Global Alliance for Vaccines and Immunization (GAVI) in introducing hepatitis B and Haemophilus influenzae type b vaccines in the poorest countries, and explores how financing for immunization has changed since GAVI Fund resources were made available during its first wave of support between 2000 and 2006. 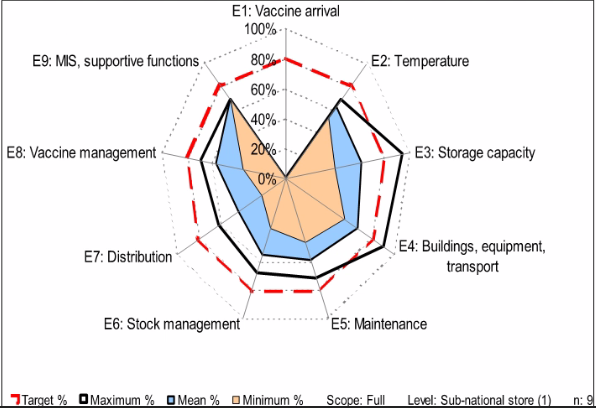 The analysis of Financial Sustainability Plans in 50 countries allowed for some of the original funding assumptions of the GAVI approach to be tested against the realities in a wide set of countries, and to highlight implications for future immunization efforts. While the initial GAVI experience with financial sustainability has proved successful through the development of plans, and many countries have been able to both introduce new vaccines and mobilize additional financing for immunization, for future GAVI supported vaccine introduction, some country co-financing of these will be needed upfront for the approach to be more sustainable. An effective health service comprises many components, including a well-functioning supply chain; the availability of commodities at the health facility is one key part of the logistics system that ensures the end user can receive the health service they need. Delivering health commodities to the last mile, the point of service delivery, involves many processes and several modes of transportation. Commodities must come from manufacturers— often in foreign countries—to national warehouses, then to local storage units, and finally to the local health facility. In the countries where the USAID | DELIVER PROJECT implements supply chain programs, logisticians employ several models for the delivery of health supplies to service delivery points. 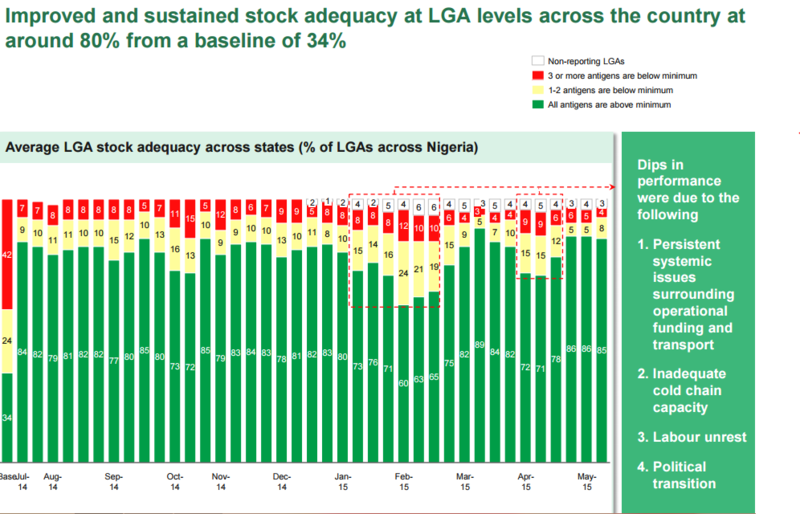 The Better Immunization Data Learning Network (BLN) recently held a webinar entitled “Building real-time LMIS for the vaccine supply chain in Nigeria”. This webinar focused on building an LMIS for vaccine supply in Nigeria with an aim to acquiring a simple but impactful system. The speakers shared the stepwise approach they undertook and how they redesigned their system, adopting automation where it made sense. They discussed the challenges they faced, how they addressed them and the important lessons they have learned in the process of implementation. The Better Immunization Data Initiative Learning Network (BLN) recently held a webinar entitled “The Cold Chain Management in Zambia”. This webinar focuses on the practical aspects of managing the cold chain for a vaccination program in an environment that is less than ideal. The Developing Countries Vaccine Manufacturers’ Network (DCVMN) held its fifteenth annual meeting from October 27–29, 2014, New Delhi, India. The DCVMN, together with the co-organizing institution Panacea Biotec, welcomed over 240 delegates representing high-profile governmental and nongovernmental global health organizations from 36 countries. Over the three-day meeting, attendees exchanged information about their efforts to achieve their shared goal of preventing death and disability from known and emerging infectious diseases.